There is an important day to be celebrated in July! July 30 is Paperback Book Day, and the CHP has a number of notable paperbacks in the collection. 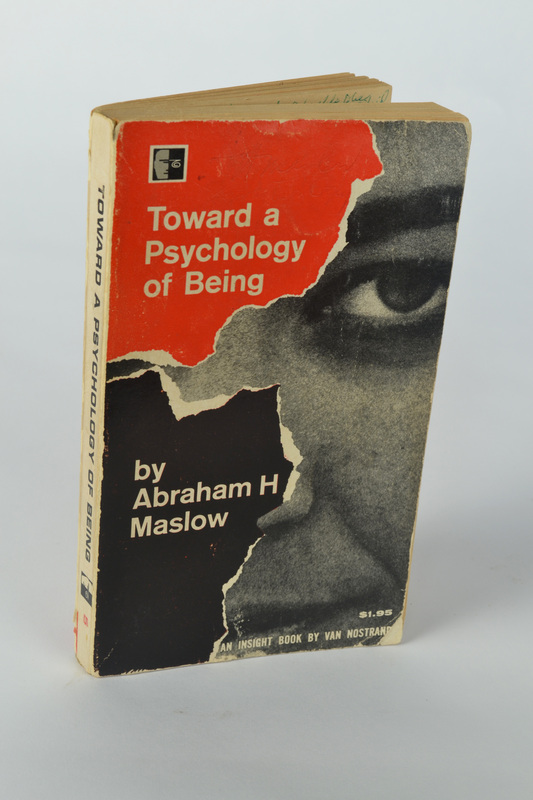 This month, we are highlighting one of these special paperbacks: Abraham Maslow’s personal and corrected copy of Toward a Psychology of Being (1962). July’s book of the month is Toward a Psychology of Being by Abraham H. Maslow (1962). This copy is signed by Maslow. 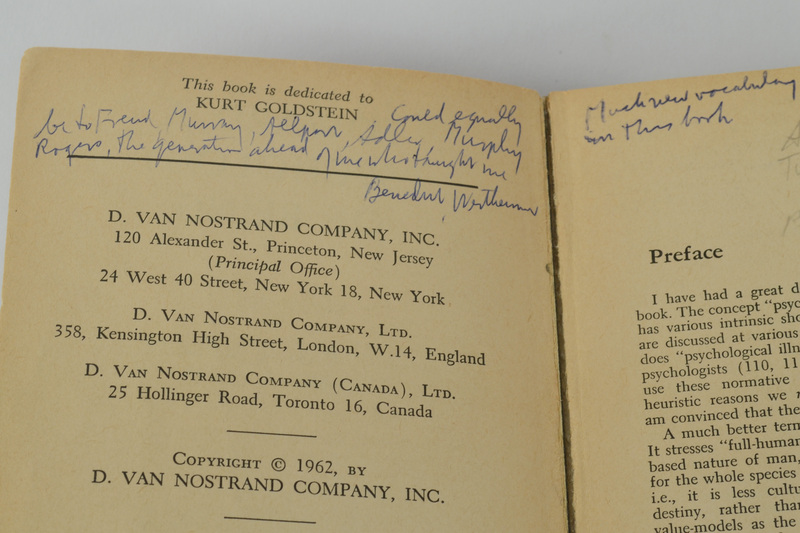 He also wrote “Personal Copy” and “Correction Copy” on the inside cover. 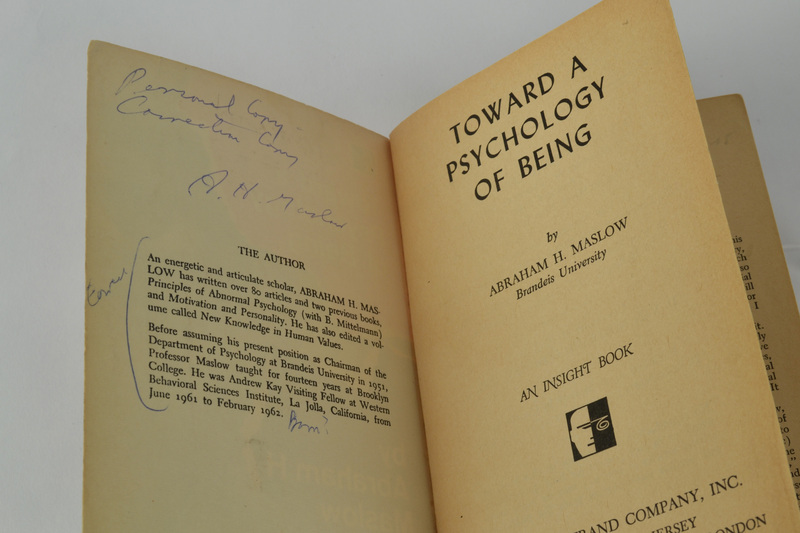 The book was included with the Abraham Maslow manuscript papers, which are also held at the CHP. It was moved to the Special Collections books for preservation and cataloged for greater accessibility. While other libraries may have a copy of this book, the CHP holds this unique personal copy. 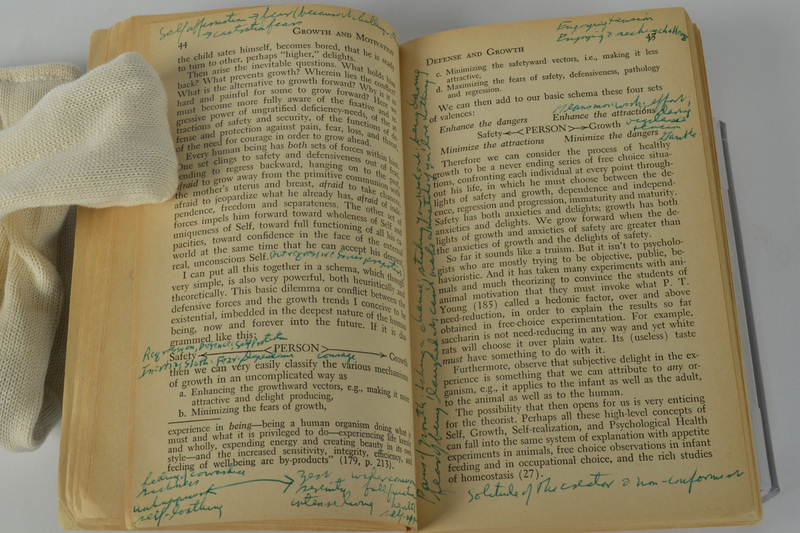 The handwritten annotations provide additional insight, beyond the published text. Maslow annotated throughout the text. This book, and all CHP books, can be viewed in the reading room by appointment.